Made with whole wheat flour, sweetened with honey, low in fat and over the top on flavors. 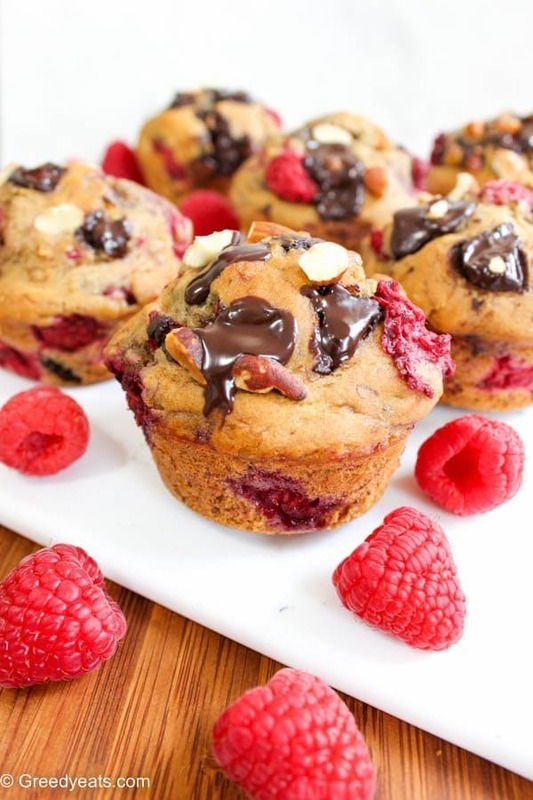 These healthy raspberry muffins will steal your heart! What? Muffins will steal hearts??? Hello melty chocolate and raspberries! I am sorta obsessed with Chocolate and all things fruits. What a revelation though! 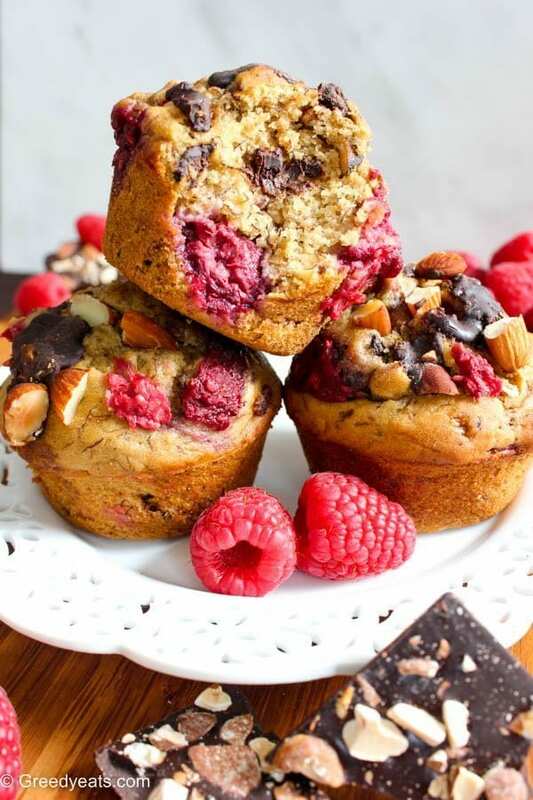 Anyway, I am sure you agree dark chocolate and raspberries add so much personality and depth of flavor to an otherwise boring banana muffin. Regardless of the add ins you prefer, you’ve got yourself a flavor-packed, wholesome, low fat and zero processed sugar muffin. A healthy banana muffin recipe base to be precise. See those little banana strings on the inside? 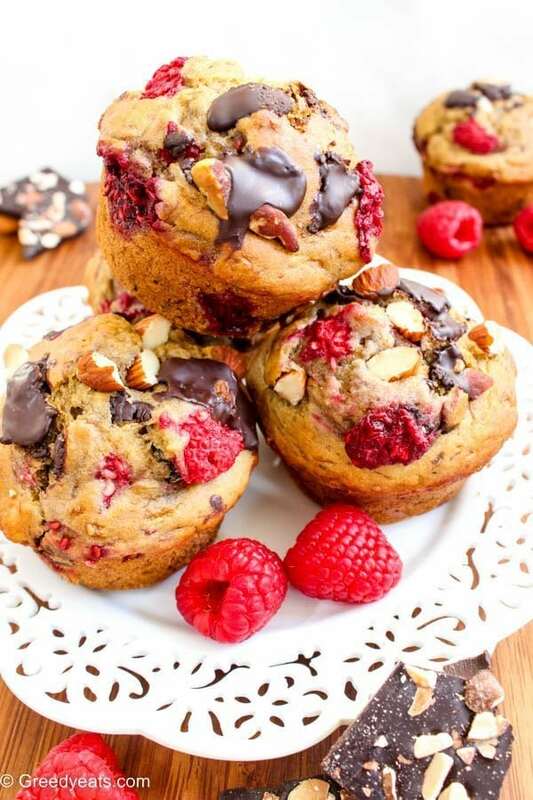 They are solely responsible to impart so much flavor, moisture and softness to our chocolate raspberry muffins…. 24 easy summer dessert recipes ideas to brighten up your summer! Get ready to celebrate summer with these sparkling warm weather favorites! The only thing better than a nice day is a vibrant summer dessert on your plate. Here is a collection of my favorite recipes from greedyeats.com for your summer parties! 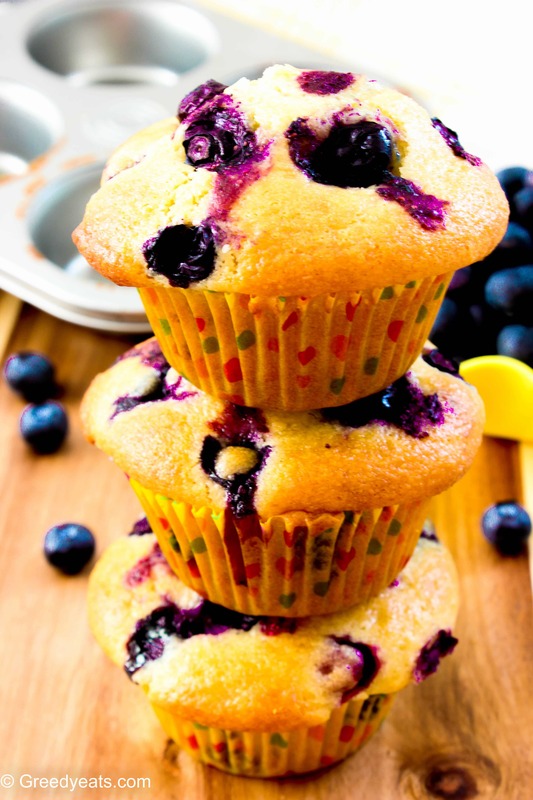 These lemon blueberry muffins are hands down the most nutritious delicious way to include lemon in your diet! Do vegan bakes need an introduction these days? Heck No! Don’t worry! I am not gonna get any further into this.